For every expensive rug that comes through our rug washing facility at Arizona Oriental & Specialty Rug Care, there is at least one inexpensive area rug in there too! Rugs are an important part of the interior decorating for a lot of homes and some of my clients have even decorated the entire room around their area rug! Even if it isn’t an expensive Persian or Oriental area rug, your area rug still needs care and regular maintenance if you want it to last! Sure, instead of having it cleaned, you could just replace the rug with a new, similar one. But think about it: are you prepared to spend hours trying to hunt down a good replacement with the same color scheme, the same size, and the same pattern as your original inexpensive rug? The store you originally bought it from may not even carry the same rug anymore! For some clients, keeping the original rug and having it professionally cleaned by Arizona Oriental & Specialty Rug Care is easier than trying to find a new rug. There are many reasons a client may not want to replace their inexpensive area rug. Sometimes the colors match everything else in the room just perfectly. Other times, this area rug was inherited from a family member and sudden it isn’t just any old replaceable rug anymore – it has sentimental value, too! Cleaning your inexpensive area rug yourself or having your run-of-the-mill carpet cleaner take care of it for you can be risky business. A professional rug cleaning company like Arizona Oriental cleans rugs very differently from wall-to-wall carpet cleaners – yes, this includes the inexpensive area rugs! Wall-to-wall carpet cleaners don’t consider the possibility of dye migration or shrinkage. At Arizona Oriental, we take all pre-cautions and do a pre-cleaning inspection to make sure we know the exact condition of each and every area rug that comes into our shop. We also use cleaning solutions that are not as harsh to area rug fibers as the ones used by wall-to-wall carpet cleaners. So yes, your inexpensive area rug deserves great, professional care! ESPECIALLY IF YOU LOVE YOUR RUG! If you would like more information, feel free to give us a call! We are more than happy to answer any questions you may have and also provide free cleaning estimates! 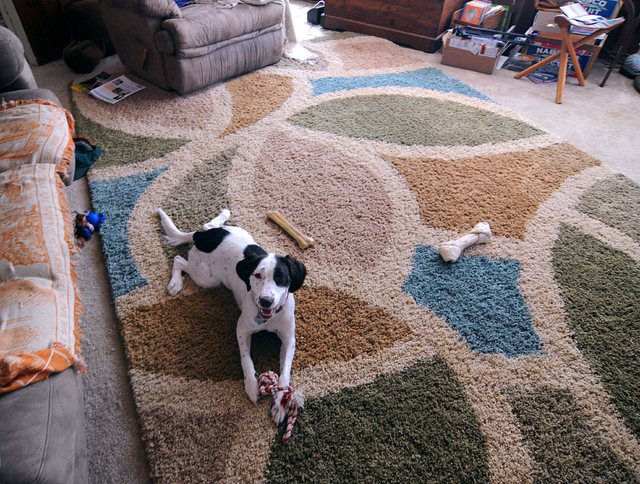 Arizona Oriental and Specialty Rug Care serves Prescott Valley, Prescott, Sedona and much of the Northern Arizona areas. We meet the highest standards in professional cleaning of area rugs with rug wash specialists having earned the highest training which includes certification as WOOLSAFE FIBRE CARE SPECIALISTS through the WOOLSAFE ORGANISATION. Such extraordinary certification ensures the area rugs of our client’s receive the utmost in care.